In a world of ever-increasing technology and innovation, change can be a good thing. It is time to reconsider the world outside the box. At the Novus Engine Company we envision a more efficient way. The Novus modular format has been developed for engine simulations where cyclical sub-models are extrapolated from an existing simulation to a new one. 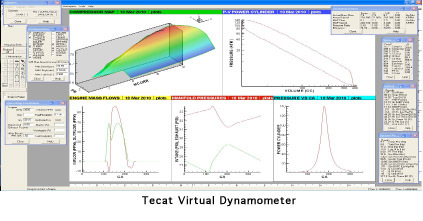 This commonality of standard components allows for a more rapid build-up of new simulation programs, facilitates cross-checking of new simulation sub-models with previously tested ones, and permits relatively easy upgrading as simulation goals change or more accurate sub-models become available. The use of this system is a great advancement in new concept research and development.